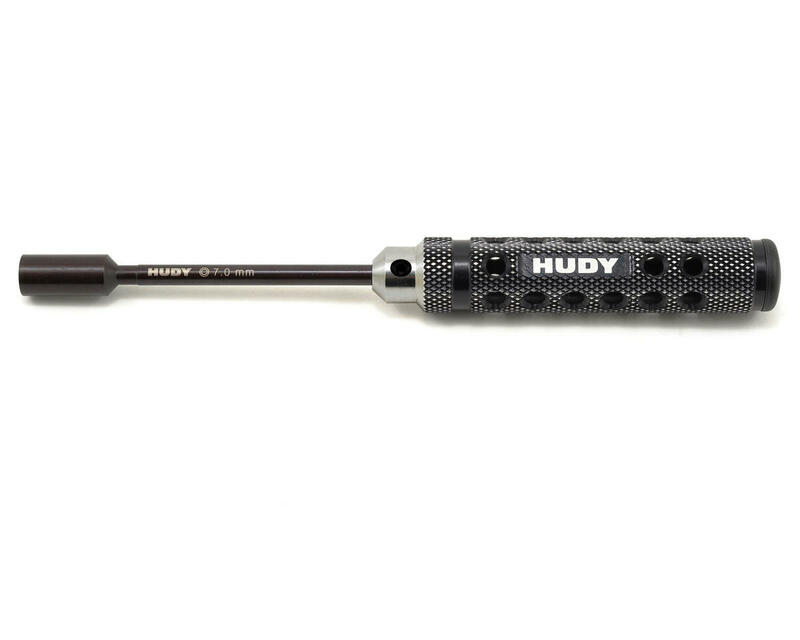 This is the Hudy Limited Edition 7mm Socket Driver. Featuring a super-lightweight CNC-machined Swiss 7075 T6 aluminum handle with a diamond pattern surface for unsurpassed grip. The handle includes a black plastic cap press fit into the handle end. Optional color-coded plastic caps (violet, red, blue) are available to customize the tools to your specifications. The new generation of HUDY tips is hand-made from special world-renowned, top-secret, self-developed HUDY Spring Steel™, individually precision-ground, sized and shaped for perfect fit with fasteners. A unique hardening process makes the tips ultra-durable, and they are replaceable if the tip should ever break.